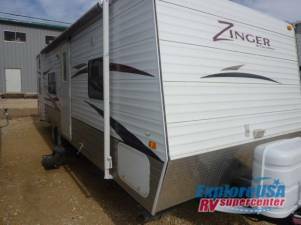 2010 CrossRoads RV Zinger ZT27BH - Very clean 27 ft travel trailer, sleeps 7 comfortably . Can be pulled with a half ton truck, central ac and heat. Very clean 27 ft travel trailer, sleeps 7 comfortably . Can be pulled with a half ton truck, central ac and heat.